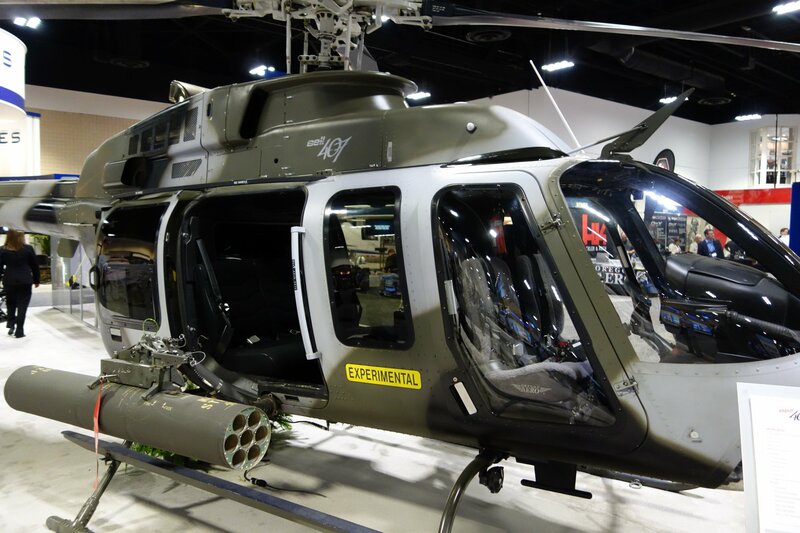 Bell 407AH Weaponized Combat/Attack Helicopter for Military Special Operations Forces (SOF): Fast, Agile and Very Deadly! | DefenseReview.com (DR): An online tactical technology and military defense technology magazine with particular focus on the latest and greatest tactical firearms news (tactical gun news), tactical gear news and tactical shooting news. 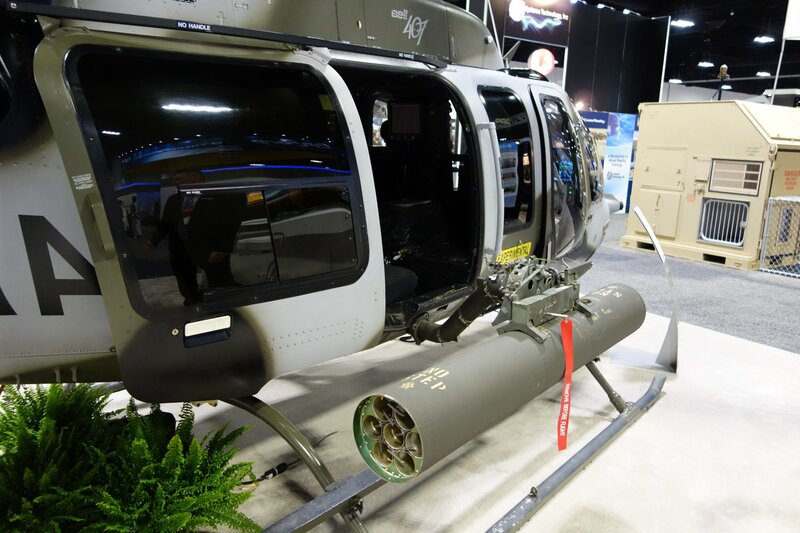 Bell 407AH Weaponized Combat/Attack Helicopter for Military Special Operations Forces (SOF): Fast, Agile and Very Deadly! 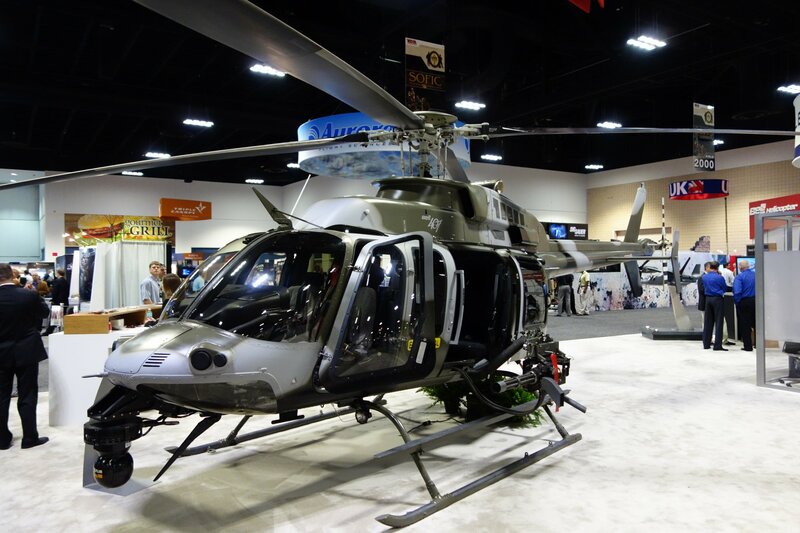 While we're on the subject of interesting combat helicopters, we should perhaps also mention the Bell 407AH weaponized combat/attack helicopter, which DefenseReview (DR) got to examine at the 2013 NDIA Special Operations Forces Industry Conference (NDIA SOFIC 2013). 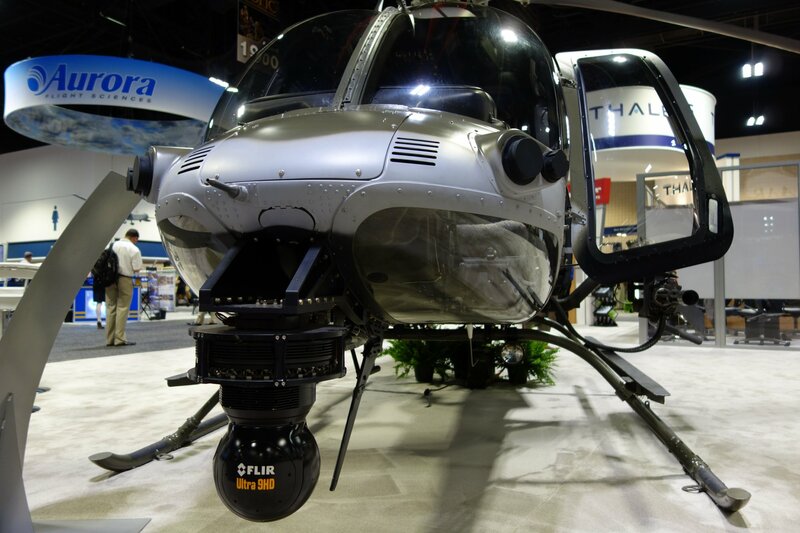 The 407AH, described by the representative as a "very agile, quick aircraft", is outfitted with a FLIR Ultra 9HD thermal/IR (Infrared) sensor system in the nose, and is mission-configurable in terms of weapons payload. It can be weaponized a combination of weapons, including, but not necessarily limited to, the Dillon Aero M134D-T (Titanium) or M134D-H (Hybrid) Gatling Gun/Minigun, M-260 2.75"/70mm rocket pod filled with unguided rockets or Advanced Precision Kill Weapon System (APKWS) guided rockets, GD-OTS GAU-19A or GAU-19/B .50 BMG/12.7x99mm NATO Gatling Gun and/or FN M3P .50 BMG/12.7x99mm NATO machine gun. 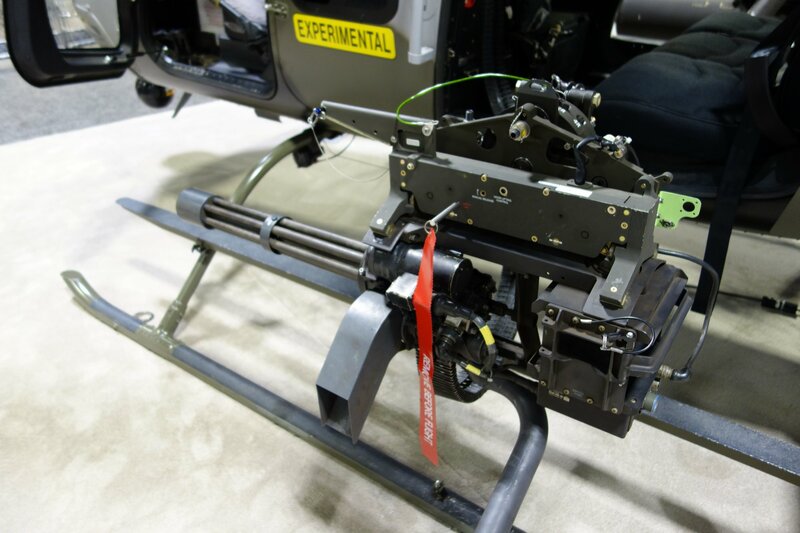 Weapons are mounted via the Universal Weapons Pylon mounting system, a proven technology from the Bell OH-58D Kiowa Warrior helo, and can be easily swapped out. 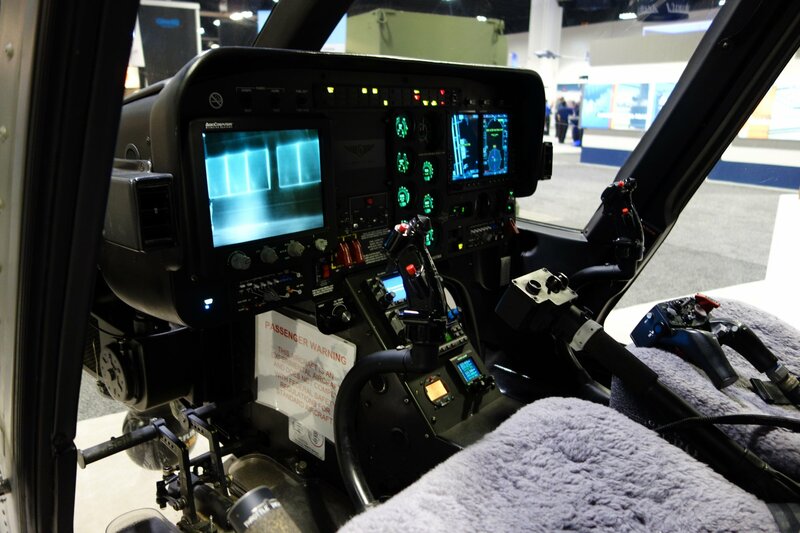 "Everything integrated into the [Bell 407AH] helicopter works very, very well for this [Special Operations Forces (SOF)] mission," said the rep . 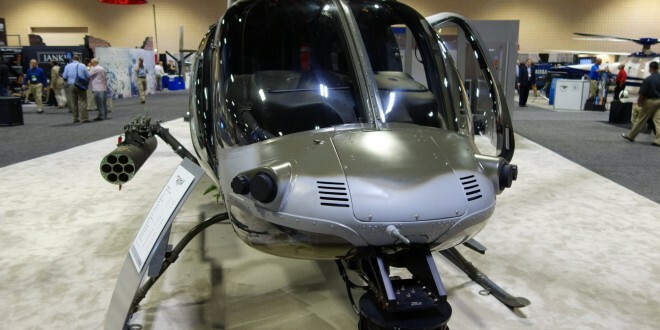 He went on to say that 30 Bell 407AH weaponized combat helicopters are currently operational in Iraq with the Iraqi army, and there are soon to be several available in the UAE. 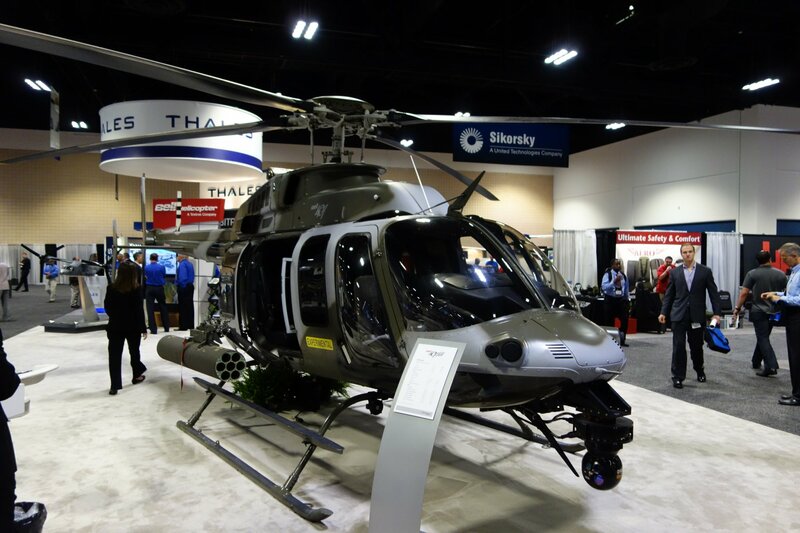 The Bell 407AH display helo at SOFIC sported a nice disruptive camouflage pattern. Lockheed Martin Joint Air-to-Ground Missile (JAGM) System: Next-Gen HELLFIRE Missile with Tri-Mode Gudance/Tracking Scores Hit on Tank from More than 3.7 Miles Out at White Sands Missile Range, and Gets Closer to Landing U.S. Military Contract. DR Exclusive Interview! : HyperStealth Quantum Stealth (QS) Passive Adaptive Camouflage/Cloaking Technology for the 21st Century Future Soldier/Warfighter: Beyond SmartCamo Color-Changing Hybrid Camouflage, Beyond Fictional Alien Predator’s Active Electro-Optical Camouflage/Cloaking Tech! ELTICS Black Fox Active, Adaptive IR Stealth System / Electronic Thermal Infrared Countermeasure System: Multi-Spectral Thermal/IR (Infrared) Adaptive Camouflage/Cloaking System for Combat Vehicles, Helicopters, and Warships Coming soon to a Battlespace/Theator of Operations Near You!